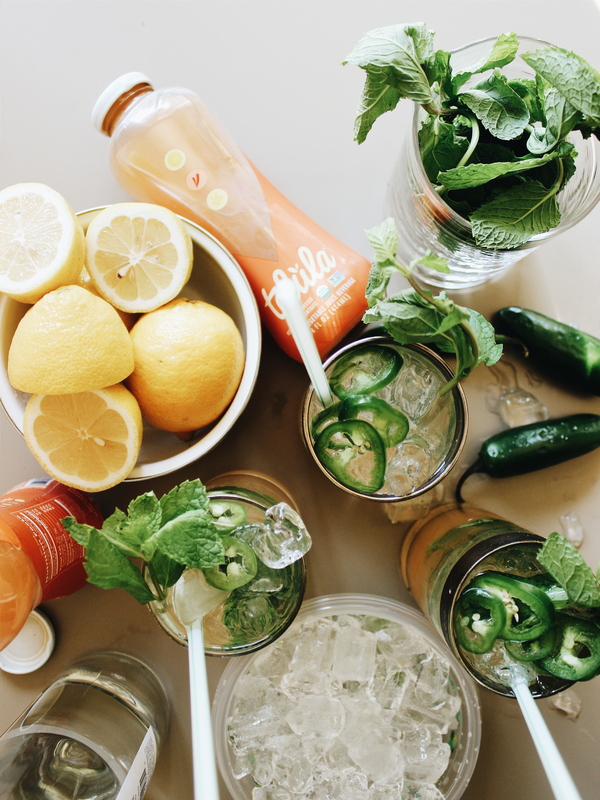 Editor’s Note: When feedfeed was given the opportunity to partner up with Telula, we knew @Meatballssmamma was the perfect go-to for creating a delicious, beautiful cocktail using the organic, cold-pressed juice offered by Telula. We imagine sipping this cocktail at our end of summer BBQ’s, served with guacamole and chips – enjoying the cool evenings. Not only is Telula organic, but they use the cold-press process, which extracts all the juice and nutrients without the use of blades, which can cause excess heat and breakdown of critical nutrients. Telula is widely available at Whole Foods and Target - to see where to buy it near you, click here. Right now, save 20% using the Target Cartwheel App! This spicy, crisp and tart cocktail is refreshing without being too sweet or strong. 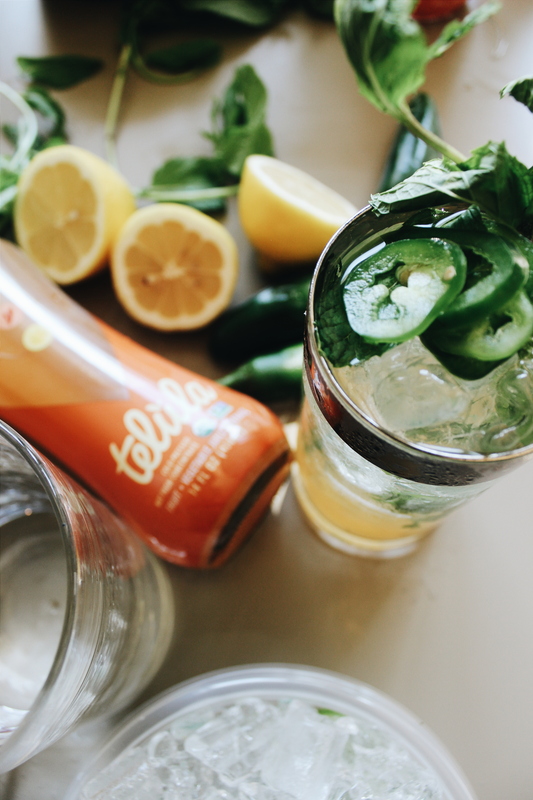 The fresh mint and jalapeno are the perfect pop to the citrusy, organic cold-pressed Telula Spicy Lemon juice. 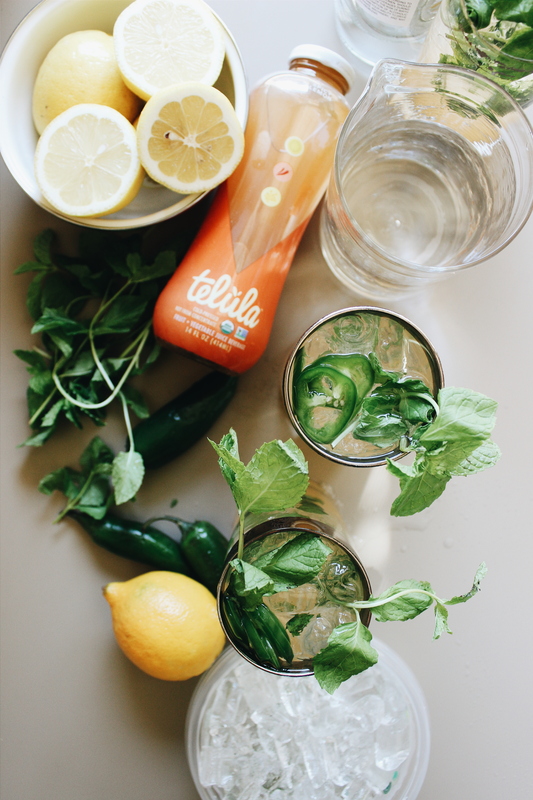 Even better, Telula can travel, unopened without refrigeration so you can make some spiked lemonade camping, out on the beach or anywhere you’re going. There are 10 delicious flavors found retailers around the country. Even better?! – 4 of their flavors have chia. Method: Muddle fresh mint with lemon juice in glass. Add Telula juice and vodka or gin. Fill with crushed ice and garnish with fresh mint sprigs and jalapeno rings.